New version 0.9.4. Internet Radios lovers, this version goes for you. There's a new cool feature. 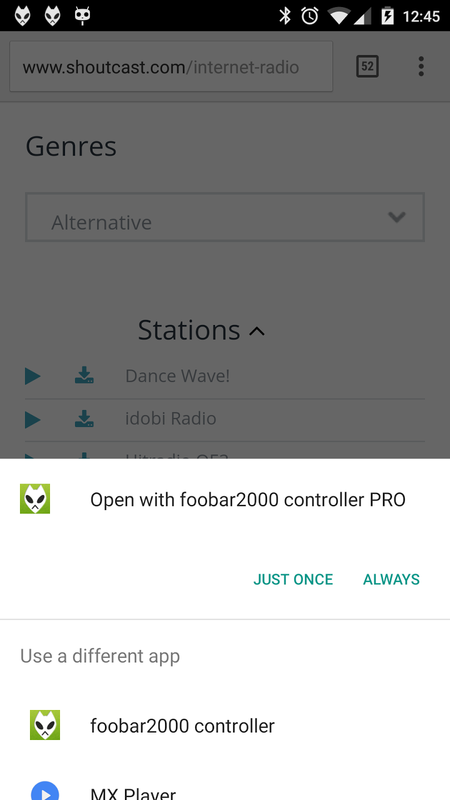 You can now add Internet Radios to your current playlist in foobar2000 right form your phone. It's fairly easy. Select the internet radio from your web browser and click to download it. You'll be prompted to select with which application you want to open the link. Select foobar2000 and it'll be directly added to your playlist. Btw, this feature was suggested by a user, so feel free to suggest new cool features like this one. I'll do my best to include all your requests. There are a couple of more things added in this version. 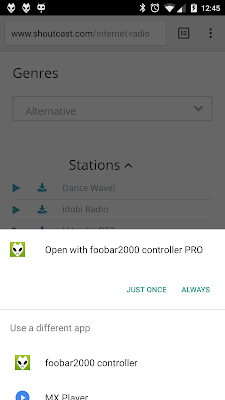 Add Internet Radios to your foobar2000 directly browsing from your device web browser. Supported formats: .m3u and .pls. Added sort by Disc Number in playlist. Added a setting to disable muting of volume keys for those devices where the whole device sound gets muted (i.e. Nexus 7 2012). New version 0.9.3.8. Get playing song info from your app! I've added a new feature especially useful for advanced users. There's a new available Intent action. It will allow you to get the current song info via Intent without havng to care about http requests or foobar2000 HTTP Control API. Unlike previous Intent actions, this one is a bit more complicated to work with, but it's actually fairly easy. You'll need to send a broadcast specifying a callback Intent action string for me to send you back the information in form of JSON-like string. // Create a new Intent. Set the new action and add the extras. // You need to have a BroadcastReceiver. It can be a custom class of yours. // This is where the song info is stored. // Do whatever you want with the retrieved song. New version 0.9.3.5. Hey, automation lovers, wanna control foobar? it's been a very long time since last post. But don't worry because there is a new cool addition. 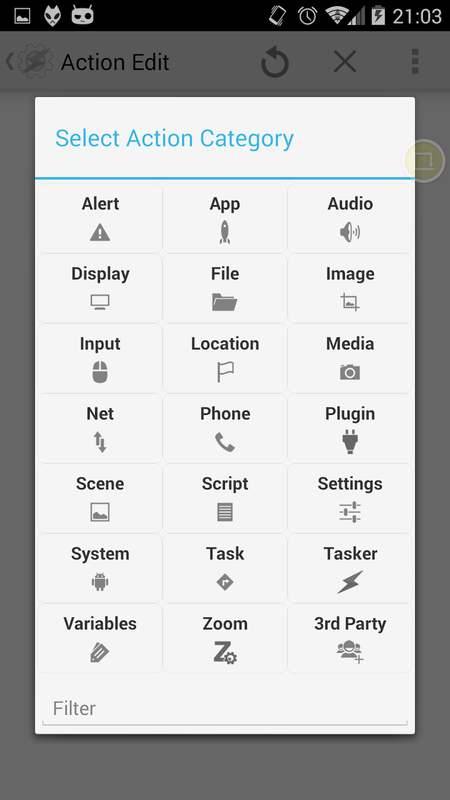 This time I've added to PRO version the ability to control foobar2000 using Intents from any other app like Tasker. 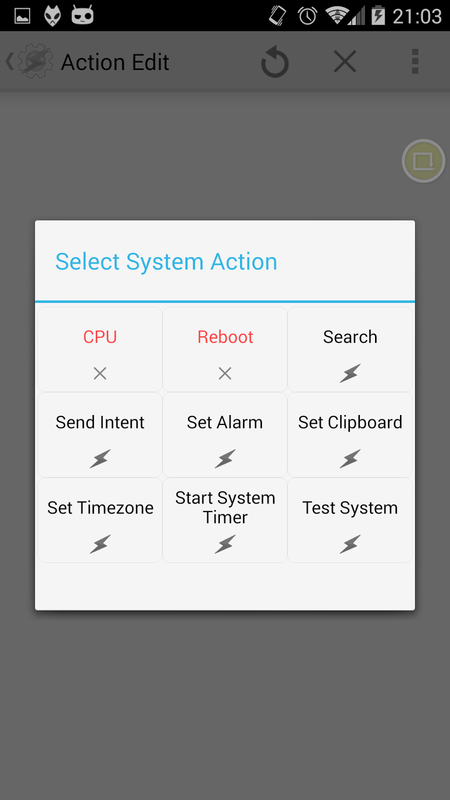 This is an example of how Tasker can be configured to send an Intent to foobar2000 controller. 0.9.3.5 must be installed before trying the following..
1. Create a new Task. 4. 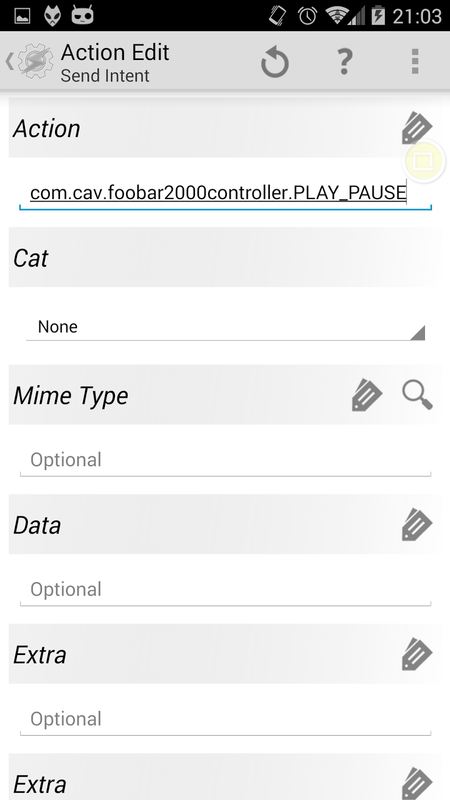 Write the action you want to add (com.cav.foobar2000controller.PLAY_PAUSE in the example). 4.1 Leave BroadcastReceiver as Target. 5. 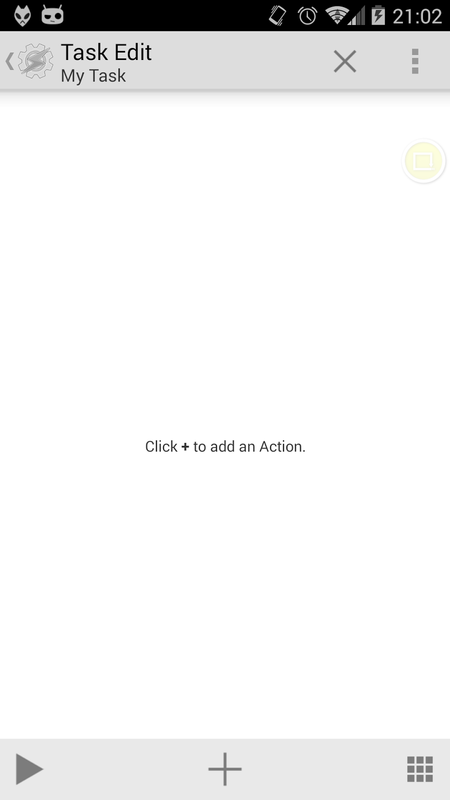 Test the action is working by clicking on "Play" icon. If everything is OK, the music in foobar should have been paused or resumed. Hey guys, here's another version for you all. By the way, all of the new features added are suggestions from users, so you know... Keep on suggesting!! Added "Resume Playback" option to OnAnswered call actions. Playlist items can now be re-ordered with Drag&Drop (like in the Queue). New version 0.9.3.3. Timer sleep. No more waking up with your music still on. Hi again everyone! There's a fresh new version available. 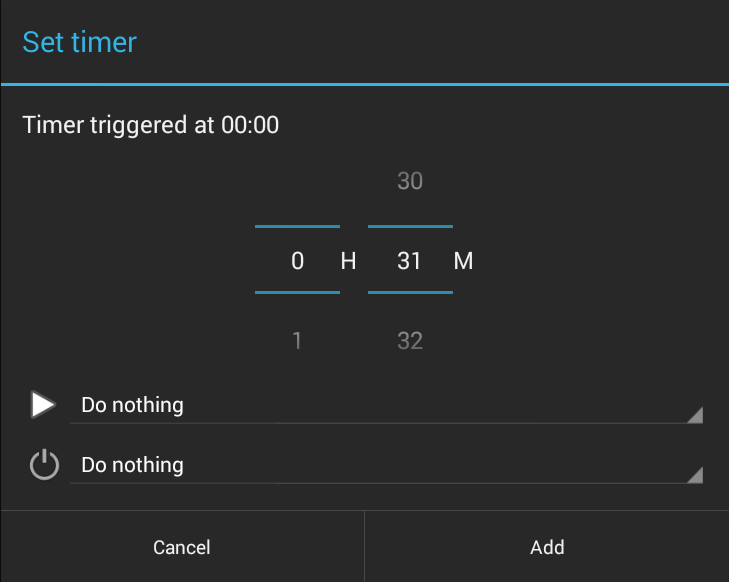 This new release is focused on the much anticipated Timer sleep feature. There are also a couple of fixes and small additions. As usual, enjoy it and let me know if you find any nasty bug! 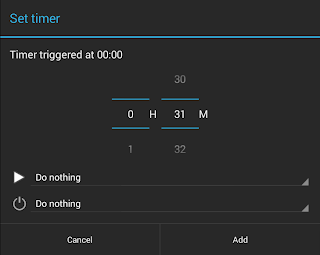 Added Timer with Playback and Power options configurable. Added new setting to configure the name of the playlist where the files from Files tab are sent. Improved connection detection in Server Wizard. Fixed "don't show again" behaviour in Play all folder action from Files tab. New version 0.9.3.2. Cursor follows playback. Who follows cursor? Hi everyone! 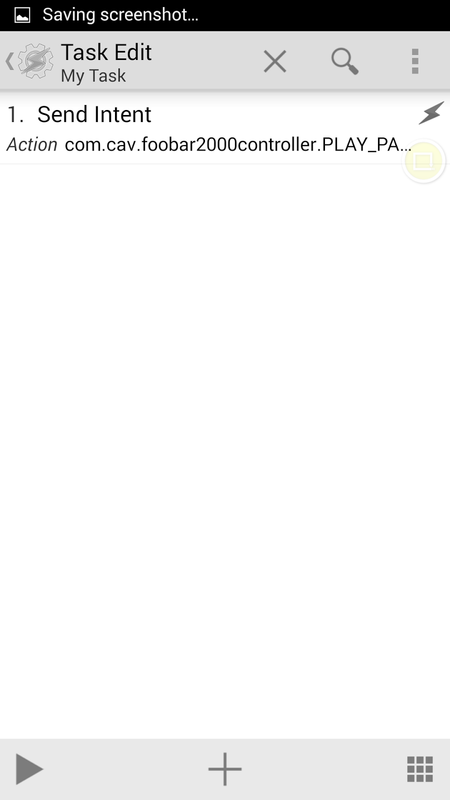 I've just uploaded a new version to the Play Store. There's a couple of additions and some fixes too. Don't forget to check out release notes below. The old Gengo String platform is shutting down in a few days and I managed to find another nice (nicer) translation platform.